Violin Outlet's collection of professional cellos consists of both new maker instruments and restored vintage instruments. Our inventory of instruments at this level is constantly changing. Please stop by the shop, call, or e-mail to see what is currently available. 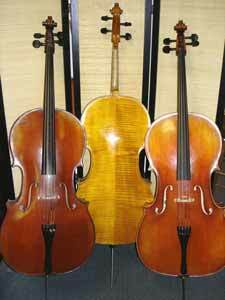 Our knowledgeable staff will be happy to assist you as you find the cello that is ideal for you.